As financial markets develop and evolve, new financial products, instruments, and services pop-up and gain popularity among day traders and investors. While some of these instruments turn out to be a destructive invention such as the Mortgage Backed Securities (MBS) and Credit Default Swaps (CDS) loans that created the 2008 financial crisis, other financial instruments like contracts for difference (CFDs) manage to stay and become a legitimate and regulated market. In this guide, we will cover all the necessary information about a contract for difference (CFDs) including the top 10 best CFD brokers in 2019. 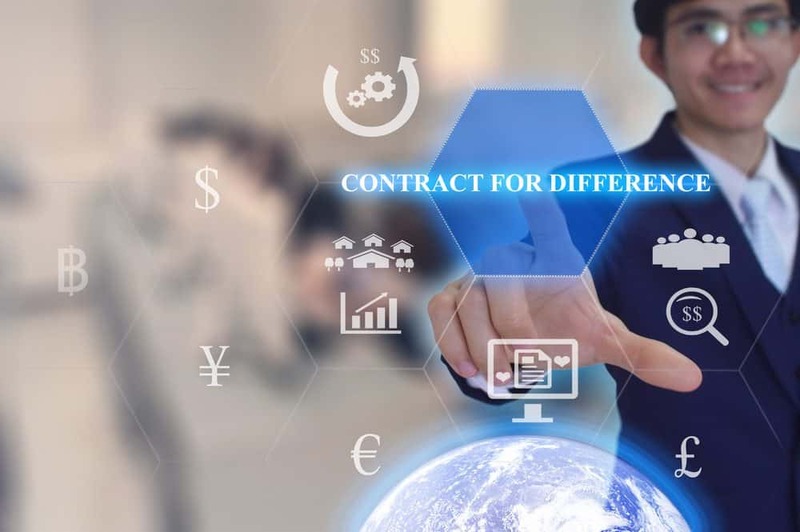 A contract for difference (CFD) is a financial transaction between two parties that occurs outside an exchange or the OTC market (over the counter). CFDs, therefore, are a derivative market for financial instruments that are being offered on exchanges or at the over the counter (OTC) market. A CFD is an agreement between the buyer and the seller to exchange the difference in the value of a particular asset. The difference is calculated from the time the contract is opened, until the time at which it is closed. CFD’s were first developed in the early 1990’s in London in the over-the-counter (OTC) or equity SWAP markets. What is a CFD Broker? A CFD online broker provides users with the platform and the connection to trade various CFDs instruments. A CFD broker can decide whether to transfer the transaction through an exchange/OTC market or, keep the transaction in-house where you trade versus other traders. Hence, a CFD broker is a market maker. 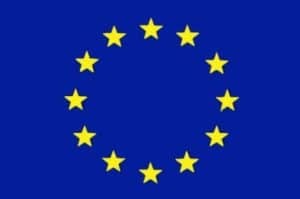 Among other factors, it is important for you to choose a CFD broker with sufficient capital, regulation, and positive reputation. A CFD trader has to rely on the services of a forex broker to execute a trade. That is why it is so important to choose a CFD broker that you can count on. The most important factors choosing an online CFD broker include capital, regulation, trading platforms, customer support, a wide selection of instruments, leverage & margin requirements, spreads, deposit and withdrawal fees, and overnights fees. Luckily for you, we listed some of the most reliable CFDs brokers in the industry as of 2019.
eToro, one of the top leading CFD brokers in industry, provides more than 150 financial instruments on various markets including shares, indices, forex, ETF’s commodities, and cryptocurrencies. eToro offers a user-friendly in-house trading platform and the advantage to use social/copy trading that allows you to follow other successful traders. eToro is regulated by FCA, CySEC, MiFID, AFSL, and ASIC. Once you’ve set up a trade order, the trade placed should be under your portfolio tab. With a market cap of $829M, Plus500 remains one of the big players in the CFD market. The company was established in 2008 and is located in Israel with subsidiaries in the United Kingdom, Cyprus, Australia, Singapore, and Bulgaria. Nowadays, Plus500 supports 32 languages and is highly regulated by top regulators around the globe. 24Option is an authorized and regulated CFD broler by the Cyprus Securities and Exchange Commission (CySEC). The broker was founded in 2010 and provides its clients with several trading platforms and a wide range of trading products including over 160 stocks. 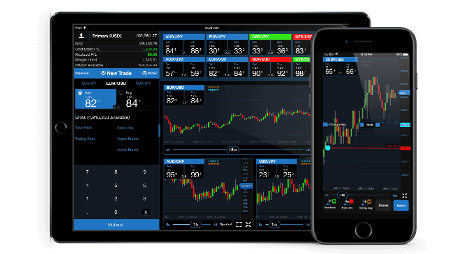 Markets.com is a CFD and forex broker offering the highest selection of trading products among CFD brokers of over 2000 trading assets. Markets.com was founded in 2010 and is regulated by CySEC, FSCA, and ASIC. Pepperstone is an Australian broker offering CFD and forex trading on several jurisdictions. Pepperstone provides its users with a wide selection of instruments and trading platforms and is a regulated broker in Australia and in the United Kingdom. Ally Invest offers diversified financial services including CFD and forex trading. Ally Invest was founded in 1919 by General Motors and is one of the top leading investments and trading brokers in the world. Ally Invest is a member of the Securities Investor Protection Corporation, which provides protection for accounts up to $500,000. 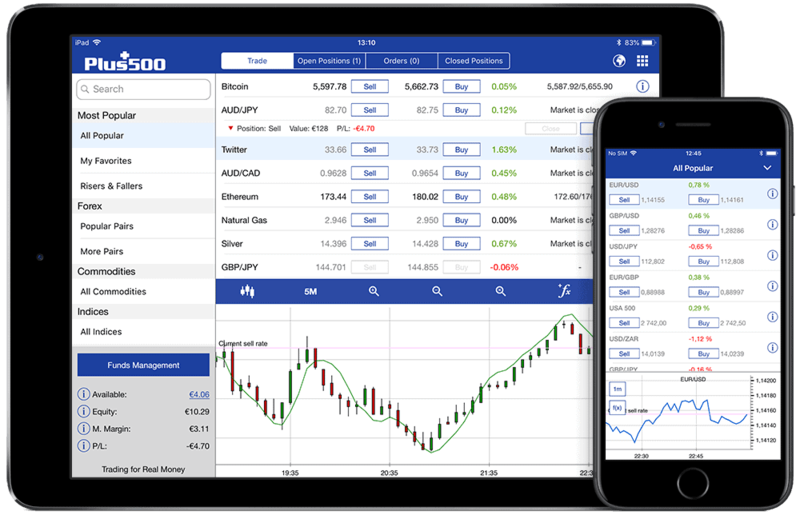 Founded in 1995, Oanda is a well-known CFD and forex broker offering a wide range of trading products at a low cost compared to competitors. Oanda is regulated in the United States, Europe, Canada, Asia-Pacific, and Australia. Ameritrade offers its advanced thinkorswim trading platform for forex and CFD traders with a relatively low commission and fees. The US brokerage firm is listed on NASDAQ under the symbol AMTD and is regulated by several regulators in the United States. Degiro is a Dutch company that attracts traders’ attention due to its low rates and advanced mobile trading app. Degiro is regulated by the Dutch regulation authorities AFM and DNB and considered a safe and reliable broker. IG Group is listed in the London Stock Exchange and is a member in the prestigious UK FTSE 250 index. IG is one of the pioneers of forex and CFD trading and considers as a reliable and safe CFD broker. One of the advantages of the CFD market is the enormous selection of financial markets and instruments that brokers offer. As we previously mentioned, the CFD market is sort of a secondary market and therefore, brokers can implement any market or financial instrument they desire in their trading platform. There are some major differences between buying and selling CFDs with one of the recommended brokers above and buying and selling assets on exchanges and over the OTC market. The main advantages of buying a contract for difference (CFDs) over buying an asset outright are the shorter access process, the size of the contract, the leverage, low fees and commissions, a variety of products on one trading platform and low minimum deposit requirements. Some traders and investors find it a complicated process to open an account and trade through exchanges. Open a CFD account, on the other hand, is quite simple and provides you with a similar result to trading through exchanges. Most CFD online brokers usually provide several trading accounts options. Those include a demo account, a mini account, a standard account, and a VIP (premium) account. Each account has different trading terms and specification. The conditions of your trading account will be determined based on the amount of your initial deposit. As you increase your deposit amount, you might receive lower commissions and better features to your trading account. How to use a CFD Platform? Most reputable brokers will offer you real-money accounts as well as a demo account to practice your trading skills before you start trading the real market. 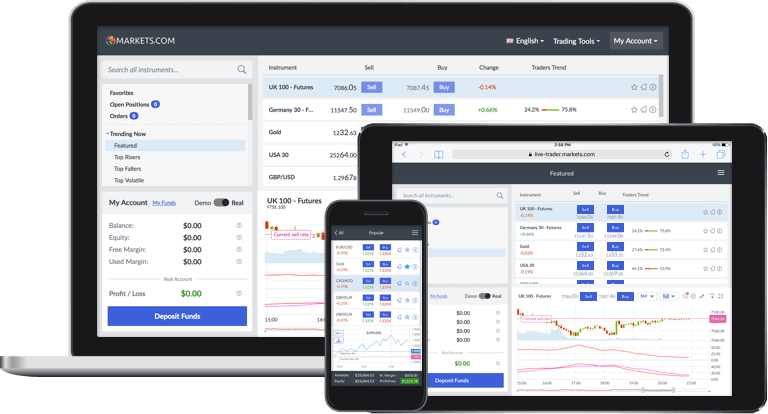 Demonstration accounts offer nearly the same products and all the other platform’s tools that are available to trade with a real-money account. The prices offered on the demo account will likely be in real-time. Once you feel like you’re ready for a real-money account you can make the switch from a demo account to real funds. You need to familiarise all the orders, terms and the platform’s basic and advanced tools. Set up on the platform in a way that you feel comfortable and confident with. Order the quotes box based on your trading markets and your preferred instruments. Organize the charts in a way that is convenient for you and if necessary, include some technical indicators in the charts. If your broker provides news feed or signals through the platform, turn it on and be alert to these features. Futures – CFD’s are most similar to the futures market. While futures contracts are being traded on exchanges such as CME, CBOE, Euronext, etc, CFDs are offered by brokers on smaller contract size with high leverage. Margin – In the CFD market, a margin is a percentage required to open a CFD transaction and provide you the leverage of your capital. Leverage – CFD leverage allows you to use your current capital and trade on margin. Leverage is a powerful tool for CFD traders and can maximise a trader’s profit. Rollover – A rollover in finance is the extension of a transaction at the end of the day to the next business day. On CFDs, the rollover is calculated based on the rollover dates of the underlying asset. Spread – A contract for difference (CFD), like any other financial instruments, has a spread between the buy and sell price. Stop-loss – A stop-loss order is being placed to sell or to buy a CFD at a certain price. A stop-loss order is important to prevent big losses. Underlying market – Each CFD price is derived from an underlying market. For example, a CFD of Apple stock is based on the AAPL quote listed on NASDAQ. Contract size – The contract size of a contract for difference depends on the brokers specifications and the leverage you choose. It is important to be familiar with your desired contract size before entering a transaction. Following all the steps you made in order to establish your CFD trading account and trading platform with a reputable broker, you need to first learn the dynamic of financial markets. Each trader has a unique strategy that suits his/her personality and you must find your own trading strategy. It takes time so you need to be patient. You should learn about the different markets available for you to trade, and which one you are most interested in trading. The CFD market is dynamic, fast, exciting and profitable once you find your way to succeed in your trading. You need to use leverage, form a trading strategy, learn fundamental and technical analysis, follow the news and be alert to new opportunities. There are always new opportunities that emerge in the CFD market – if you missed one, nothing happened, just move on the next opportunity. 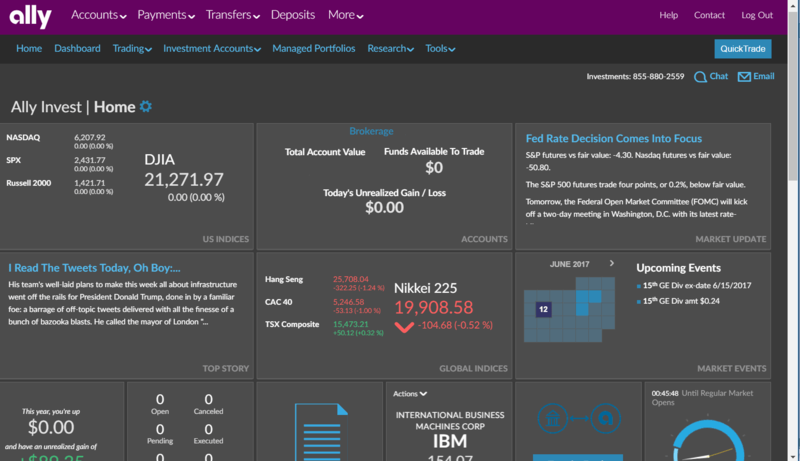 Open a demo account with one of the recommended brokers above. Trade with low leverage levels. Specialize in 2-5 financial instruments with some traders even choose to trade on only one instrument. Choose 1-3 financial news provider, including an informative economic calendar. Use stop loss order to limit your loss. Form a risk-reward ratio and make sure to apply this rule. Be aware of losing days and realize it’s part of CFD trading. Master technical analysis and financial instruments technical charts. Find a reliable and regulated CFD broker. There are several steps you should take before you start transacting in the CFD market. First, you need to learn about the financial markets and instruments that you are planning to trade on. For example, if you are trading indices, you need to be alert to economic and political news and be familiar with previous record high/low of the instruments and the trading behavior of the instrument. In addition, you need to find the best combination of news and technical analysis that increase your chance to be a profitable trader. You also need to find a reliable broker that provides you with all the tools to enhance a stable connection and the support to focus on your trading. What does CFD stand for? The term CFD stands for Contract for Difference and relates to a financial transaction through a CFD broker that calculates the difference of the underlying asset at the time of opening/closing. Are there any Risks in CFD Trading? Like any other investment, CFD trading involves risk. The big difference between CFD trading and other comparable investment method is that as long as you choose a reliable broker, your risks depend on your trading skills. If you master your trading skills, your risk levels decrease significantly. What is Leverage in CFD Trading? Leverage is the key feature for CFD trading as it allows you to maximize your profit in relation to your initial deposit. For example, if you would like to buy Apple stocks through an exchange, you need to transact the same amount of the position, meaning the number of the stocks*AAPL stock price. On the CFD market, you need to hold a percentage of this amount called margin. That is why leverage can benefit your trading an allow you a higher chance for a substantial profit. Can I trade Stocks without a Broker? No, in order to trade stocks you need a certified broker to connect you to one of the listed exchanges or through a CFD broker that provides you with CFD online trading. Is it safe to trade CFDs? As long as you choose a regulated and reliable broker it is safe to trade CFDs. In recent years, several regulators and treaties such as the ESMA have been implemented to ensure trader’s safety. What are the advantages of CFD trading over other financial instruments? Trading CFDs has many advantage over other financial instruments including the contract size, the wide selection of financial instruments on one platform, the leverage and the ease of access to global markets. CFD trading taxed is subjective to your residency and mostly being taxed as a capital gain. It is important to check with your legal tax authority the necessary CFDs tax requirements. Can you make a living from CFD trading? Even if you can, don’t expect it to happen straight from the beginning. Reaching the point of consistent trading takes time and effort. Nevertheless, yes you can make a living from CFD trading either on one profitable transaction or on a daily, weekly consistent profit. Can you lose more than your initial investment in CFD? As long as your broker provides a ‘margin call’ or ‘negative balance protection’, then you can not lose a larger amount than your initial investment. Those tools will help you monitor when your positions when your account enter a debt. Is there an expiry date on CFD trading? CFDs are based on and underlying assets and therefore have an expiry date on some of the products. However, most brokers rollover the specific contract to the next trading contract. Regardless, you should contact your broker to inform you about instruments’ expiry dates.